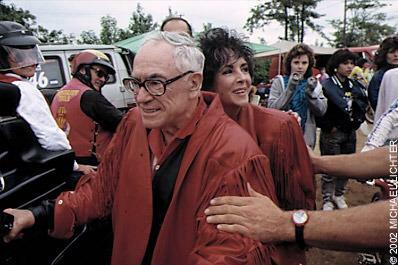 Photo of Liz Taylor with Malcolm Forbes during her Motorcycle days! 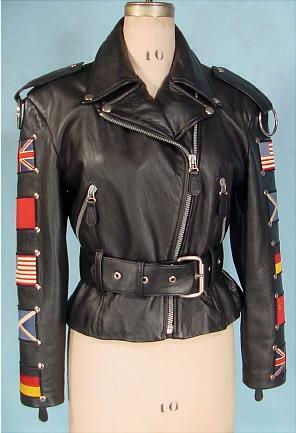 #3396 - c. 1980's John Richmond Woman Black Leather Motorcycle Jacket with Flags on Arms owned and worn by ELIZABETH TAYLOR!! 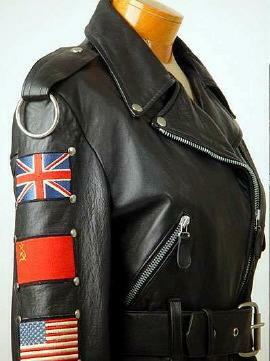 This leather jacket was personally owned by screen legend Elizabeth Taylor.. 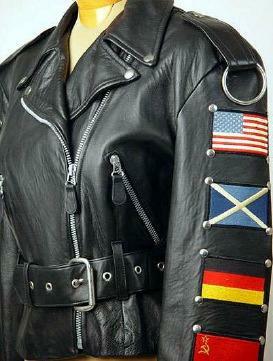 I'm assuming this is from her biker days when "hangin' out" with Malcolm Forbes. 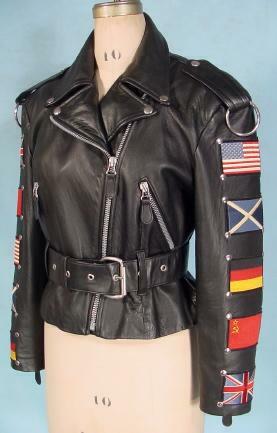 This fabulous looking jacket with its stylized international flag designs, heavy zippers, wide leather belt, ringed epaulets and steel studs was designed by "John Richmond Woman". 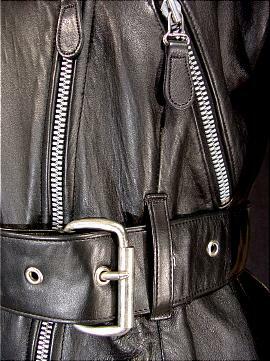 This jacket was personally donated by Elizabeth Taylor to benefit "The Quincy Jones Listen Up Foundation". An 8" x 10" glossy photograph of Elizabeth Taylor accompanies the lot. Guaranteed Authentic as it comes with a Certificate of Authenticity signed by Quincy Jones and Darren Julien. 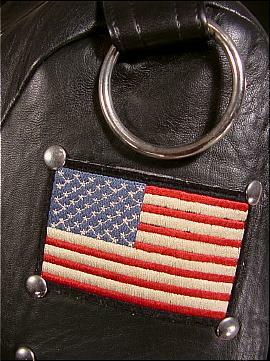 Note: Purchased at auction with Proceeds from the sale to benefit the Quincy Jones Listen Up Foundation. This foundation exists to confront the state of emergency that threatens today's neglected populations. Excellent condition. 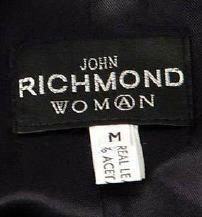 Own something from a Screen Legend! 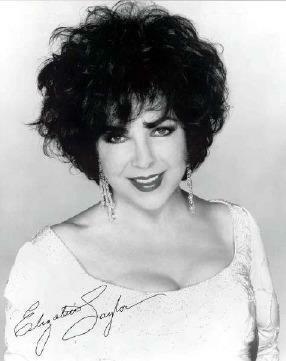 Remember, Elizabeth Taylor's 1969 gown worn to the Academy Awards sold for $150,000!